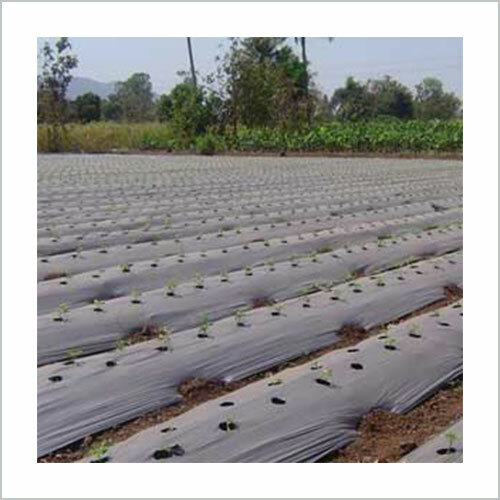 Mulching Film provides an economical and environment friendly protective solution for crops and soil. It is widely used in agricultural farms to maintain the quality of soil. In addition to this, it also aids in the faster growth of plants. The film reflects light, ensuring effective control on growth of weeds as photosynthesis process will not be carried out. The high quality plastic used in the manufacturing of film is highly advantageous in locking in moisture that further results in less water evaporation.